Riverkeeper opposes shale gas extraction by means of high-volume hydrofracking in New York, including any pilot or demonstration project which would allow this practice, unless and until the industry can prove it CAN and WILL be done safely for both human health and the environment and will be a net economic benefit to local communities and the state’s economy. Based on the best new scientific evidence from across the country, there are growing doubts that the industry will ever be able to meet that standard. Riverkeeper has been educating the public about both the risks of fracking and the problems with New York’s draft environmental impact statement and draft regulations. 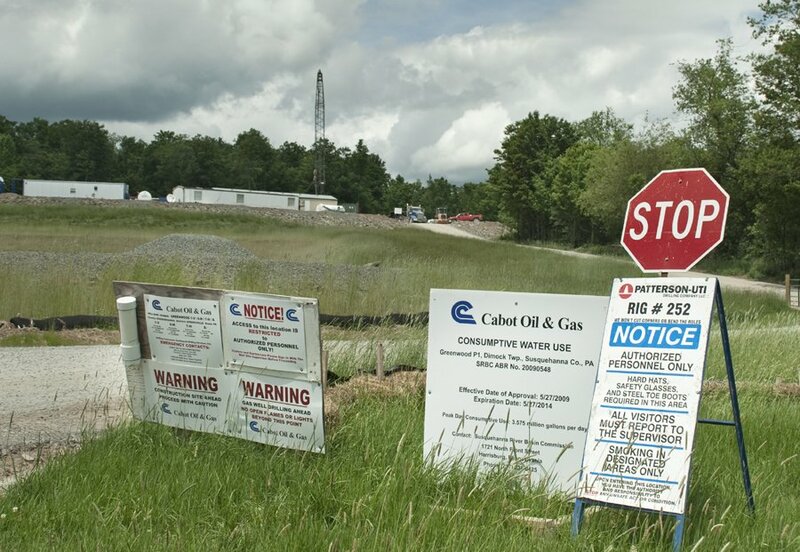 New York’s Rush to Frack is Riverkeeper’s presentation, in pdf form. New York is accepting public comment until Dec. 12, 2011, on two key documents, its draft environmental impact statement and proposed regulations on fracking. Riverkeeper’s Fact Sheet on on DEC Fracking Proposal offers the public facts about fracking, and instructions for commenting. Today I have asked members of the industry to stop using any statements that I may have made in the past in support of the natural gas industry until further notice. Sadly, my thinking on this issue has changed after witnessing the intransigence, recklessness and lack of candor on the part of leading industry officials and trade associations. Many company CEOs share my disappointment. They share my alarm that the least responsible voices within the industry have come to dominate policy making and that the gas industry, which holds such promise for our country, is sadly digging its own grave through strategies that have persuaded much of the public and many political leaders that industry pronouncements cannot be trusted. This conduct has disturbed many of us in the environmental community who see gas as a good alternative fuel to coal. Until more responsible leadership emerges, best practices are required by law, and state and federal regulatory agencies have the staff and resources to provide reliable oversight, I support a moratorium on all new fracking activities. The Marcellus Shale is a layer of deep sedimentary rock, deposited by an ancient river delta, with the remains of it now forming the Catskill Mountains. The vast Marcellus Shale extends from Tennessee, through most of West Virginia, across Pennsylvania and eastern Ohio, and into the Southern Tier of New York, including the Catskills and the West-of-Hudson portion of the New York City Watershed. New York’s portion of the Marcellus Shale is approximately 18,750 square miles and is very deep – over 1 mile below ground. Hydraulic fracturing allows drilling companies to extract natural gas from this shale. Natural gas is trapped within fractures between the grains of this fine-grained rock. Drillers drill down vertically into the shale, turn 90 degrees to drill horizontally (sometimes over a mile in length), and then inject water, sand and chemicals under high pressure to release the gas. The pressurized water forms fractures in the rock, which sand and chemicals then prop open. Among the many environmental impacts associated with hydraulic fracturing are water consumption and wastewater disposal, toxic chemicals used in hydrofracking, substantial truck traffic, air pollution, noise from the loud hydrofracking operations, and surface water runoff from these large industrial sites. On September 30, 2009 NYS Department of Environmental Conservation (DEC) released its draft Supplemental Generic Environmental Impact Statement (SGEIS) on industrial gas drilling. Riverkeeper is reviewing this 805-page document and will submit detailed comments on it. We will also testify at DEC’s public hearings. We encourage the public to do the same. DEC will accept public comment until November 30, 2009. Visit DEC’s Marcellus page to read the draft SGEIS and learn how to submit comments or use this document as a guide. No hydraulic fracturing into the Marcellus Shale will take place in New York until this SGEIS is complete. Sign up for our e-alerts to receive timely updates on the this important review process. Read Riverkeeper’s initial comments on the draft SGEIS, presented to the New York City Council.